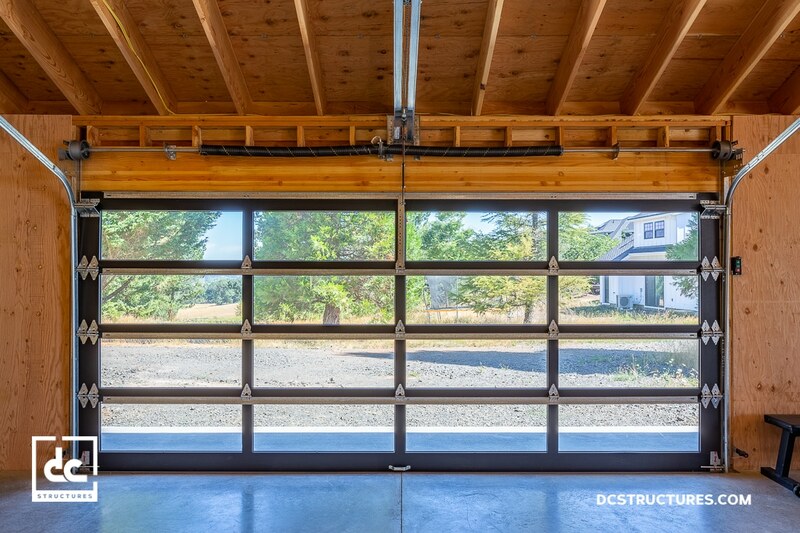 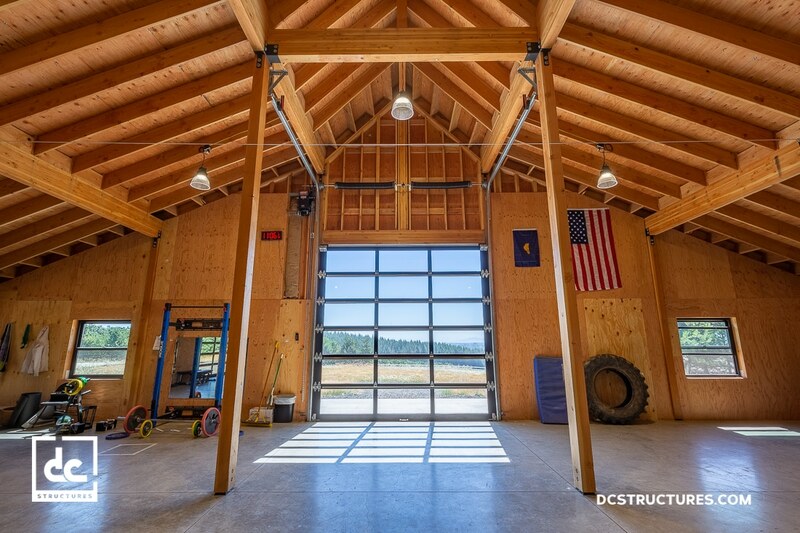 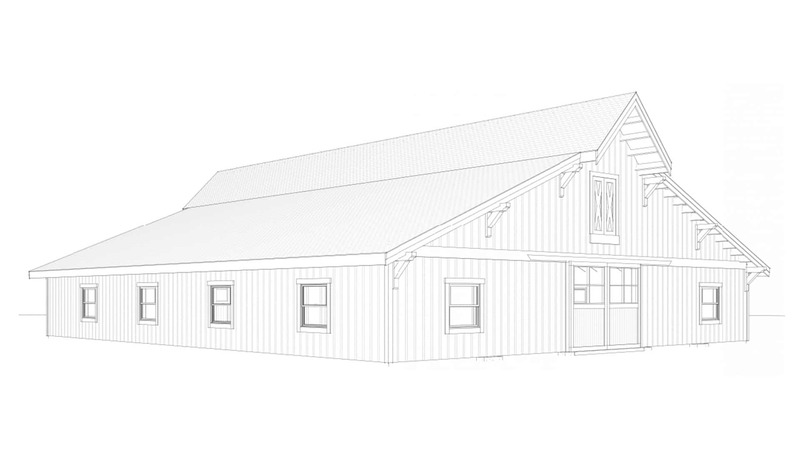 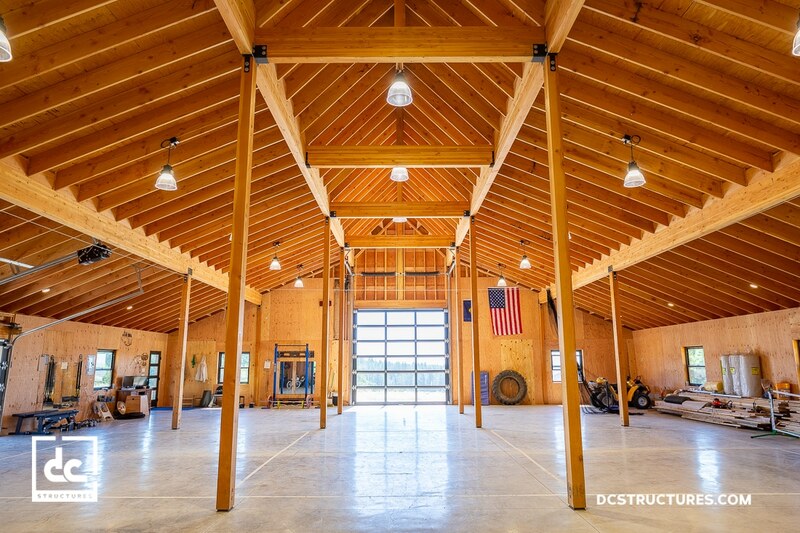 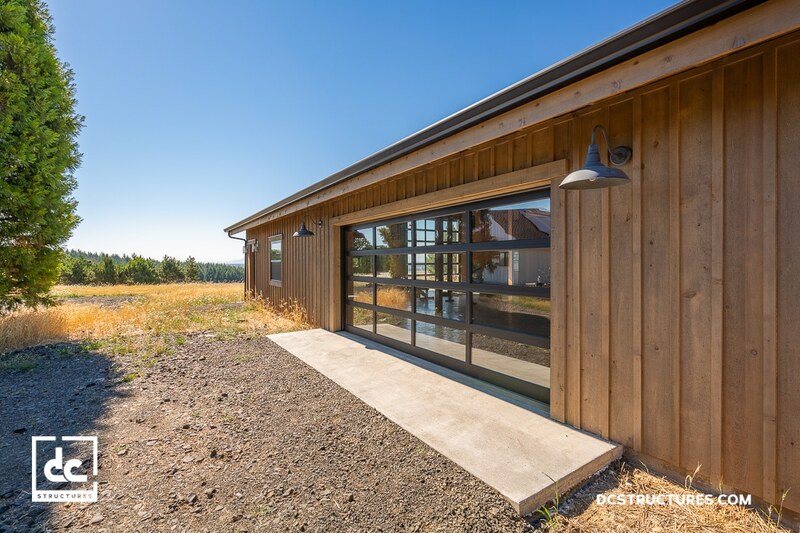 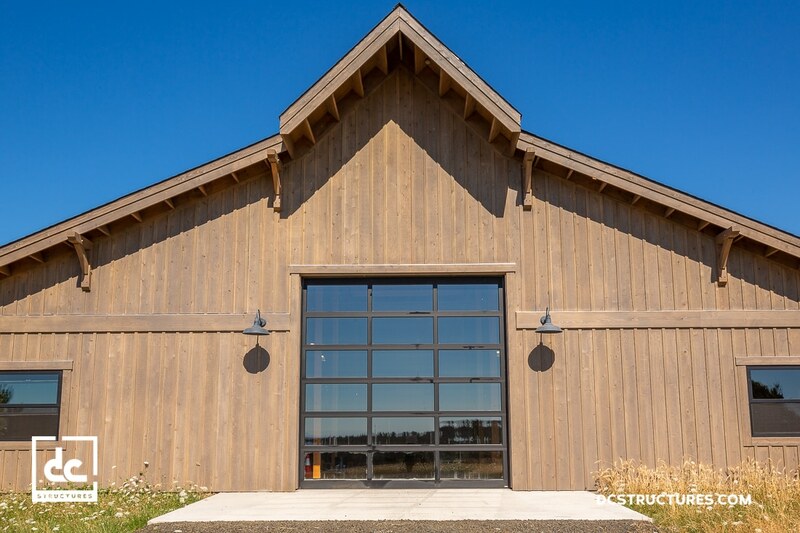 This post and beam workshop in Corvallis, Oregon is a sturdy barn-style structure with a modern twist. 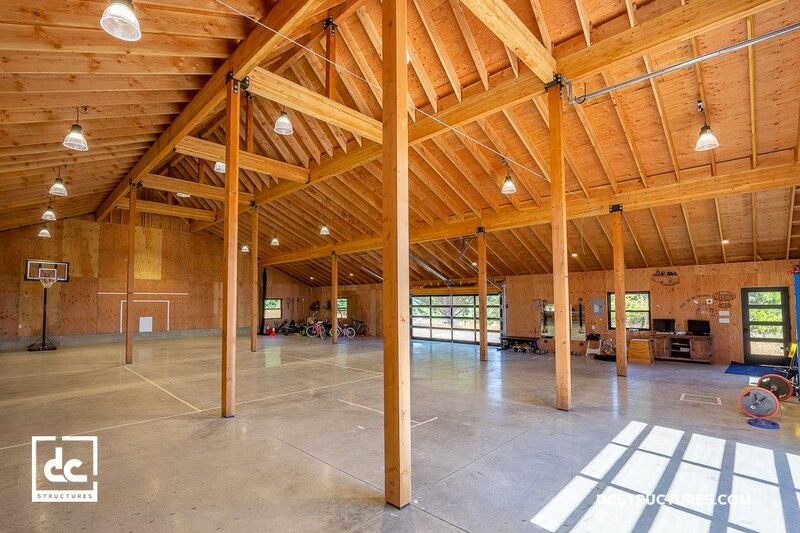 This 4,320 sq. 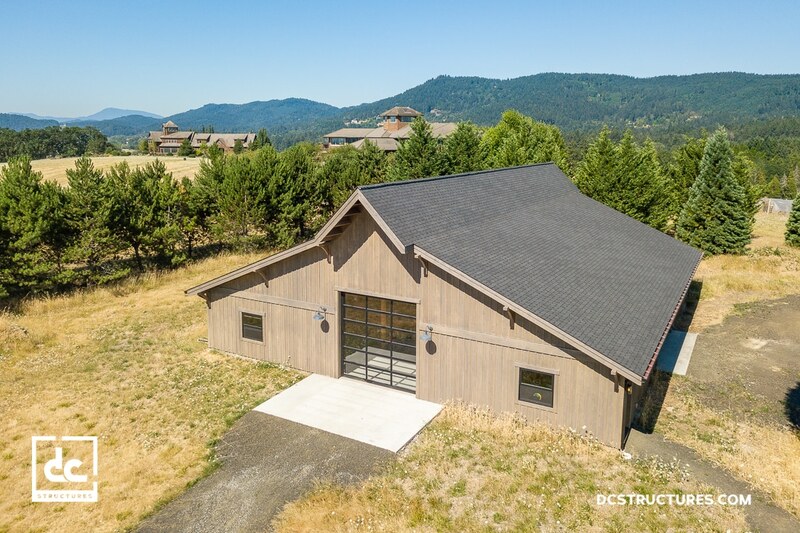 ft. building is the perfect outbuilding for this family, with plenty of room for vehicle storage, workshop space and a home gym. 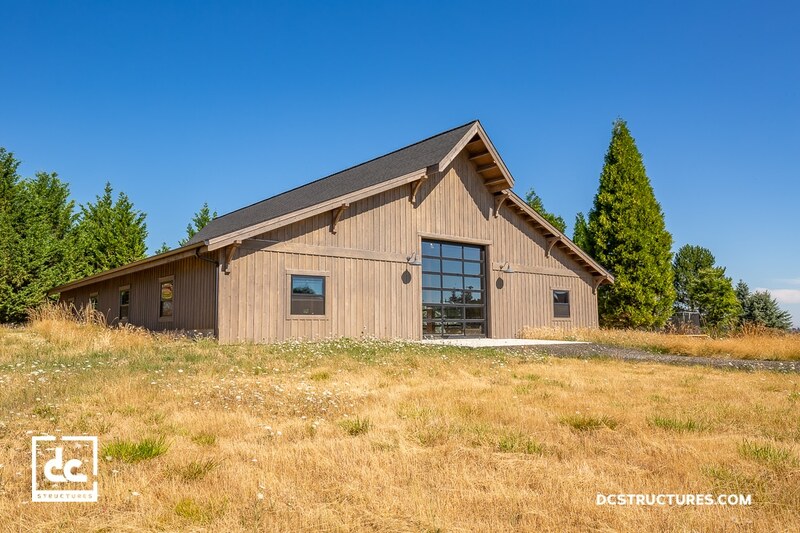 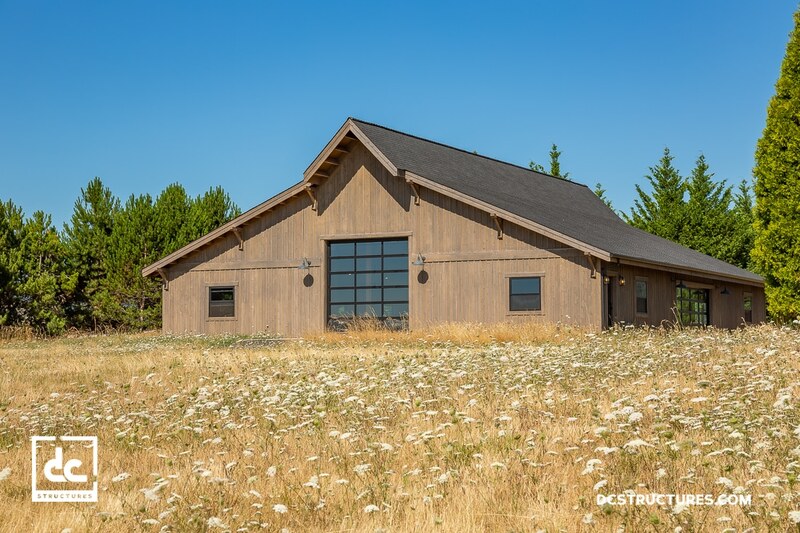 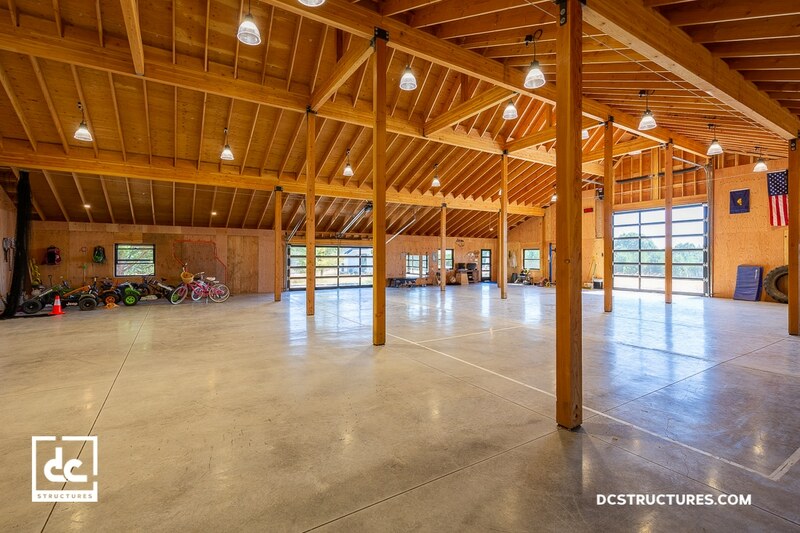 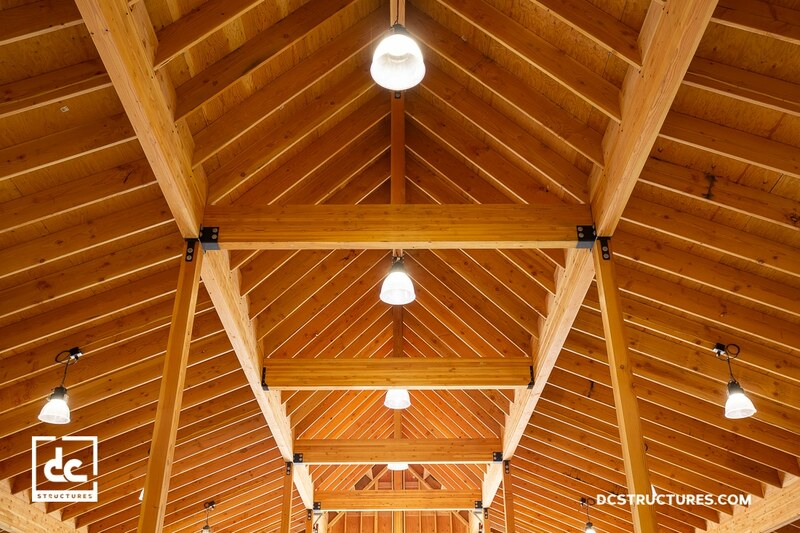 This simple but attractive building is an excellent showcase for the high-end materials included in each Sunnyside kit, with select-grade Douglas fir posts, appearance-grade glulam beams and an exterior covered in cedar board and batten siding with cedar trim.